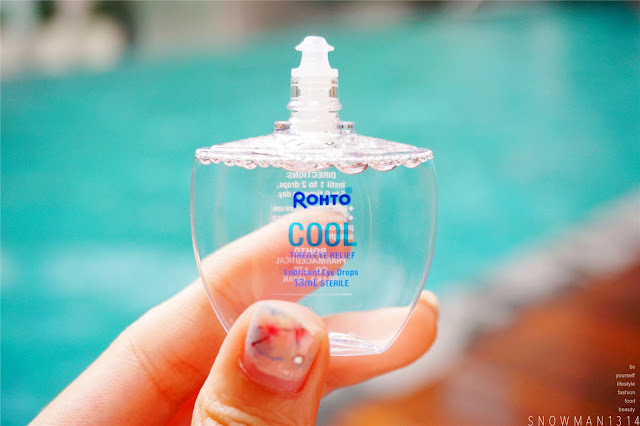 Recently I have start to rely this new product I got from Mentholatum - Rohto® Eye Drop. I am not a cons person but I always got dry and sore eyes after 1 whole day of staring laptop during work and blogging. 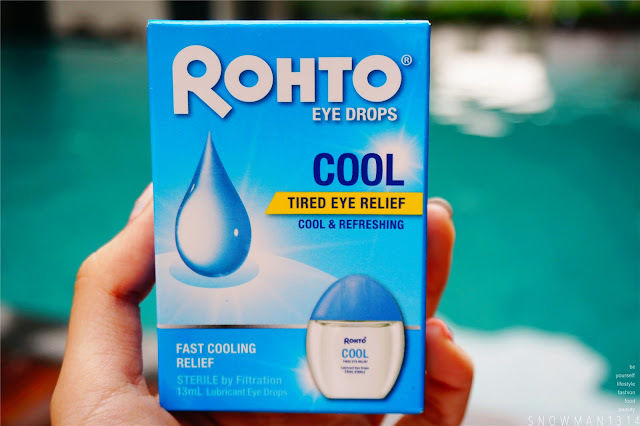 I am glad to hands on Rohto® Eye Drops since it launch I heard many good reviews how they giving this cool and refreshing after a few drops on your eyes. I been wanted to try it because I always have dry and tired eyes. In this digitally-inclined era, many people spend long hours in front of computers, laptops, Tvs and mobile devices which eventually lead to strained and dry eyes . 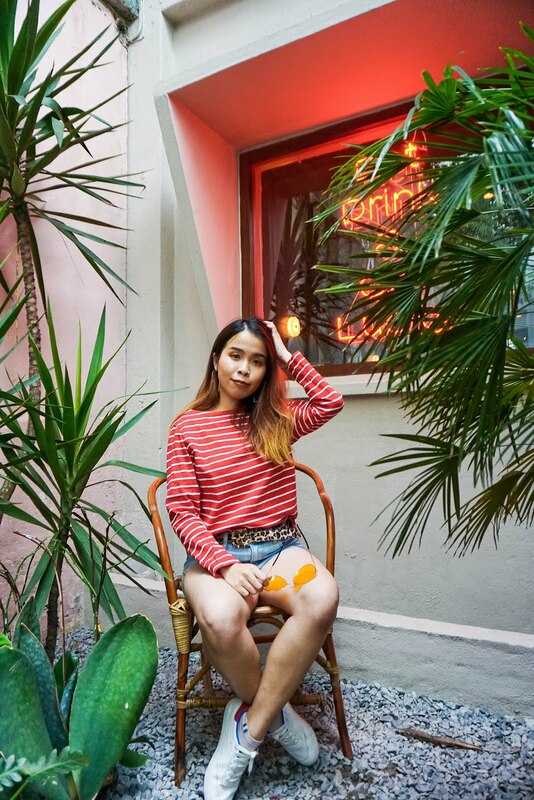 Not only the growing reliance on digital devices strains our eyes, eye irritation also stems from environmental irritants like smoke, dust, haze and air condition which further contribute to more conditions ranging from simple to complex. 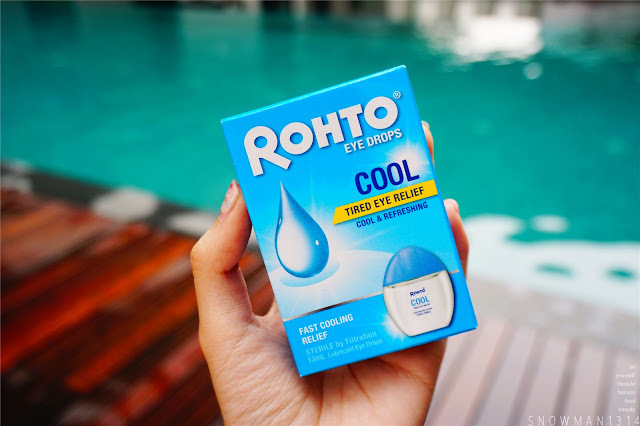 Hence, here's a good option for you to consider finding ways to give your weary eyes a break, with simple few droplets of Rohto® Eye drops to effectively retain moisture as well as to provide soothing relief for dry and irritated eyes. 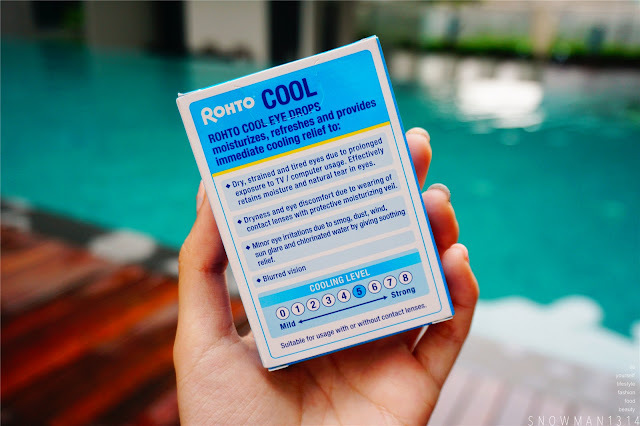 Rohto®, the number one global eye care brand that comes with a unique cooling formula that provides you with an instant cooling sensation which soon fades to be replaced by a totally refreshing feeling for your eyes. 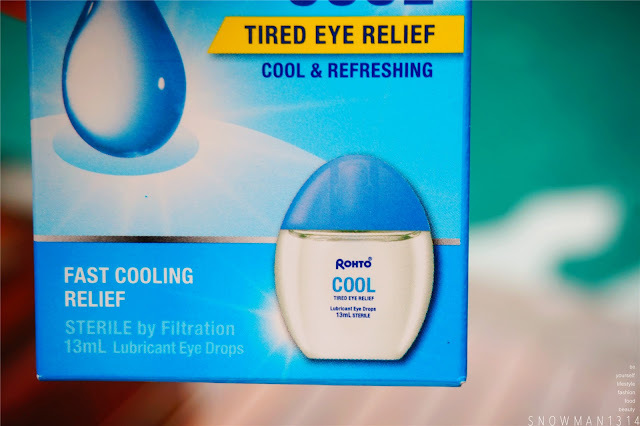 Unlike other eye drops, the cooling formula aids in producing more natural tears that help soothe your eyes and reduce eye fatigue by increasing perceived image clarity. 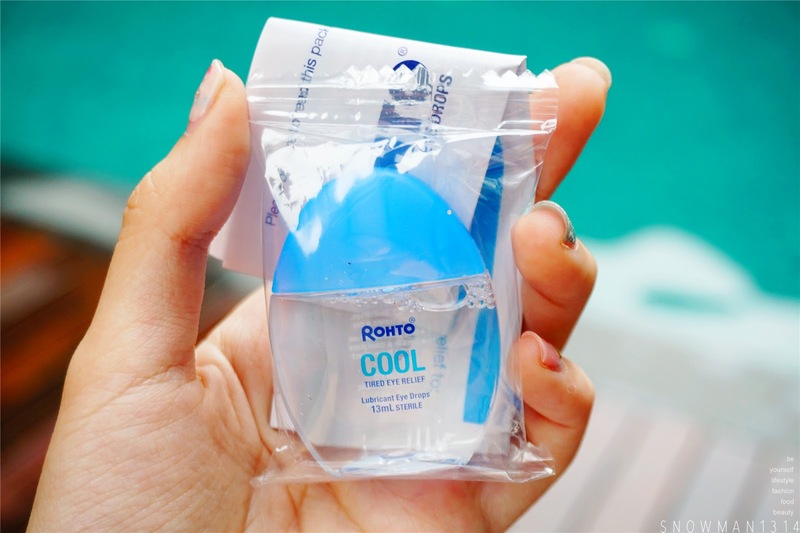 I love this blue packaging that represent the cooling sensation of Rohto® Cool Eye Drops. 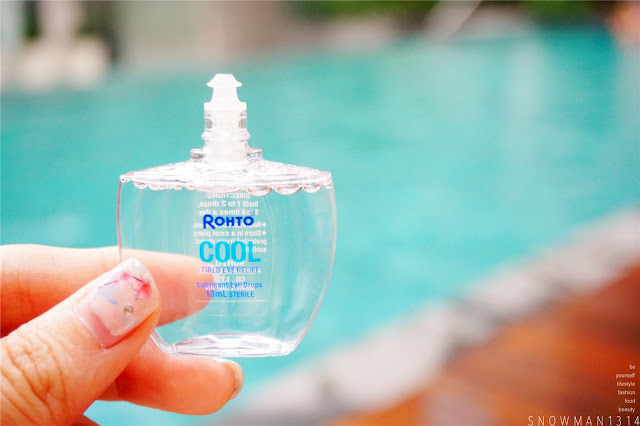 13ml packaging of Rohto® Cool Eye Drops. Each ingredient is filtered and sterilized from the bottle to the cap and nozzle through gamma sterilization or electron bean sterilization. - Dry, Strained and tired eyes due to prolonged exposure to TV/ Computer usage. Effectively retains moisture and natural tear in eyes. - Dryness and eye discomfort due to wearing of contact lenses with protective moisturizing veil. - Minor eye irritation due to smog, dust, wind, sun glare and chlorinated water by giving soothing relief. 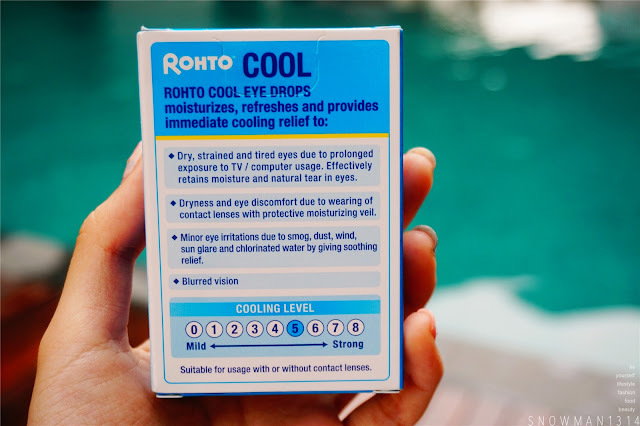 Cooling Level for this Rohto® Cool(Tired Eye Relief - Cooling & Refreshing) is Level 5. When I open the box packaging, it comes with another plastic packaging as well. My first thought for this eye drops is was so small and cute. Easy for me to bring around to work and when I go out. 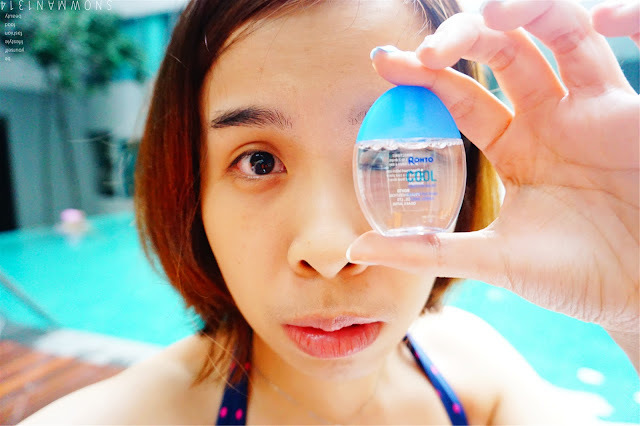 I like the eye drops are conveniently packaged in an innovative, transparent, slim and sleek bottle that has non squirting, single- drop dispenser said to be the only packaging of its kind in the market. Which make this eye drop kinda stand out in the market. Smaller than my hand, super cute! Instill 1 to 2 drops, 5 to 6 time a day. * Store in a cool place protected from direct sunlight. I love their nozzle too, since I am not a person who always use eye drops. I will scare the eye drops dropping to my eye and I always blink my eyes when I was eye dropping. But since Rohto® comes in a super innovative packaging and nozzle, I have no issues using it at all. Overall I was using it when I feel my eyes sore and dry. 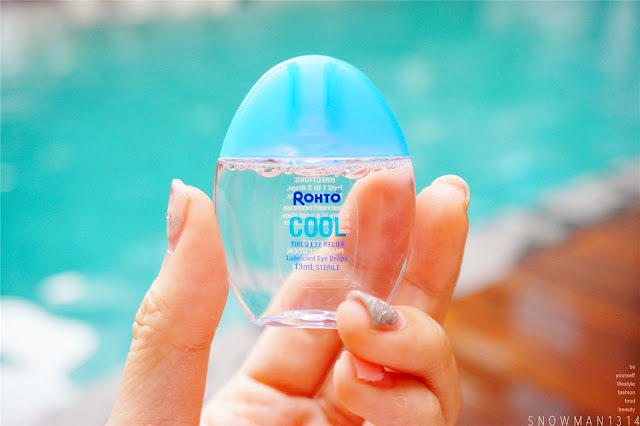 Rohto® Eye Drops instantly helps cooling and moisture my dry eyes and gives my eye the refreshing beautiful eyes too! 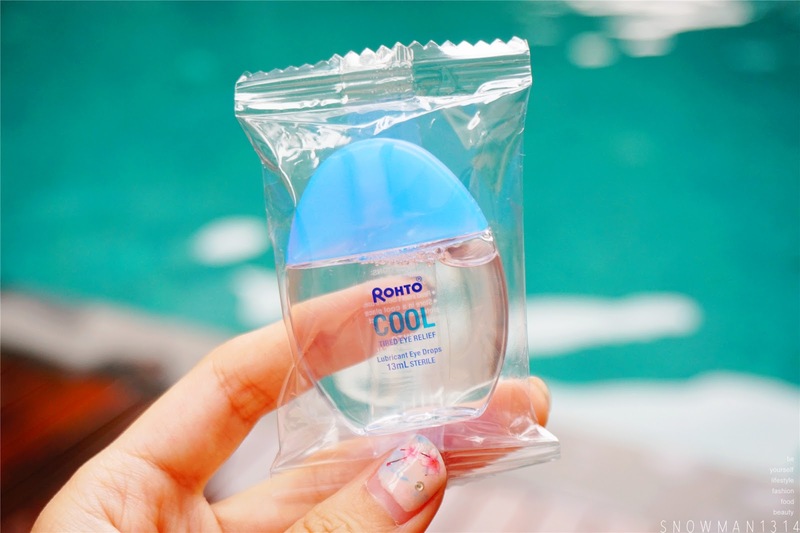 Since I am a sucker for packaging I feel that I will getting this Rohto® Eye Drops more for myself. 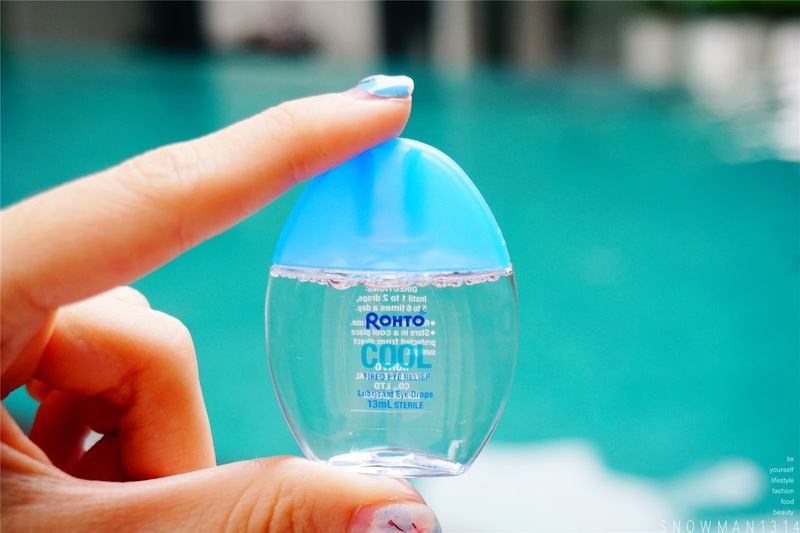 Each of the Rohto® Cool Eye Drop is priced at only RM 16.50 (inclusive of GST per bottle). They are available in leading pharmacies and hypermarkets nation wide. There are 2 more different type of Rohto® Eye Drops for you to choose. It is suitable for usage with or without contact lenses. It is only suitable for non-contact lens wearer. Photo is very nice! Love the background with the eyedrops. Heard its very comfortable too. loving all the photos you took! so compatible with the packaging! I have got one too after reading so many reviews for all of you. I think for non lens user we can use it too! I read about this brand on so many blogs. Looks like a popular brand. Not sure whether available in SG though. I tried it before and no more dried eyes and made me feel fresh too. Yes I agree =D Even when I don't wear lens often I also using it when I feel my eyes is dry and tired! 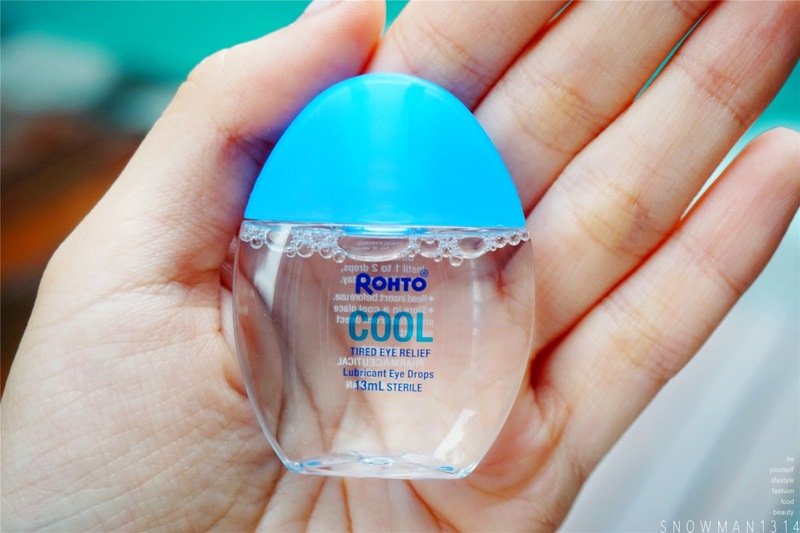 Rohto keep my eye fresh and first drop, I can feel the cooling effect. I love this eye drops. Yes no worries Janice =D Is a good product! I saw many good reviews from this products!! The packaging looks very cute!! I know right it was hehe! Read about this products recently on many blogs and looks great. I just fell in love the packaging. it's different from any other brand. so cute la your last photo. Rhoto is very good brand. thanks for sharing. Any drugstore such as Watson or Guardian also can buy ya! Yes we need it hehe! I bought it and I quite like it after using it for a few times. It was a really cooling! 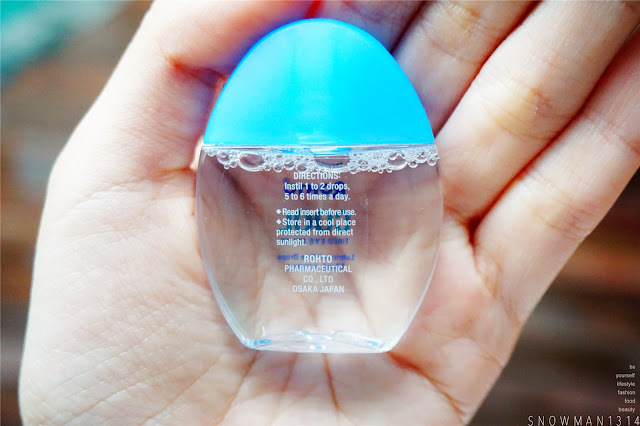 i love this eye drops too coz it's so cooling to me eyes!